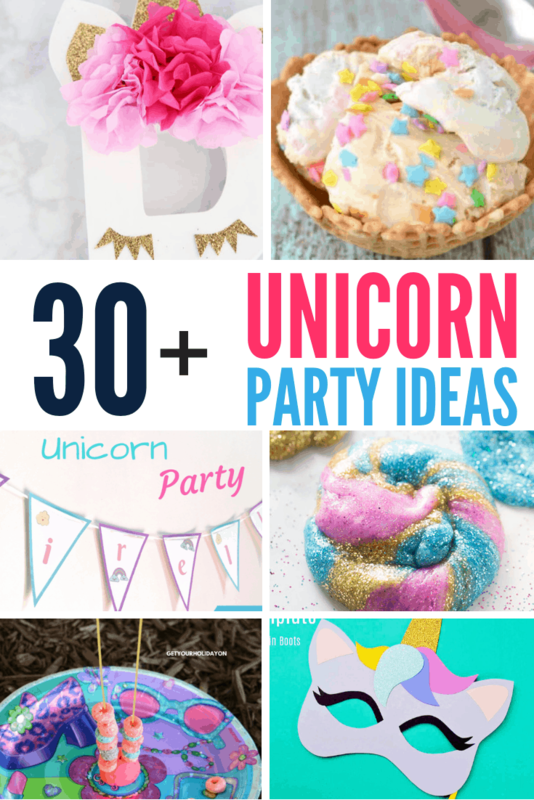 Are you ready for the ultimate list of unicorn party ideas? Good, because I have it for you right here. 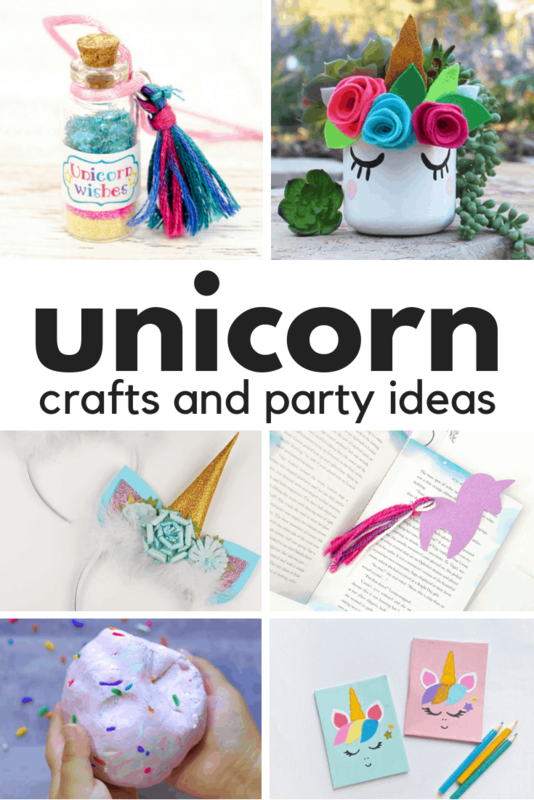 Unicorns are all the rage right now and having 2 daughters I feel like rainbows and unicorns are a daily topic of conversation. 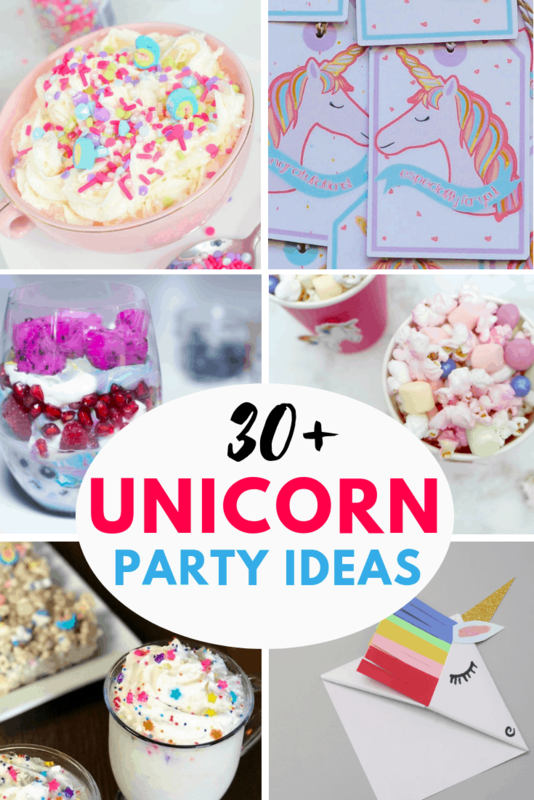 It’s only natural to think about a unicorn themed party! 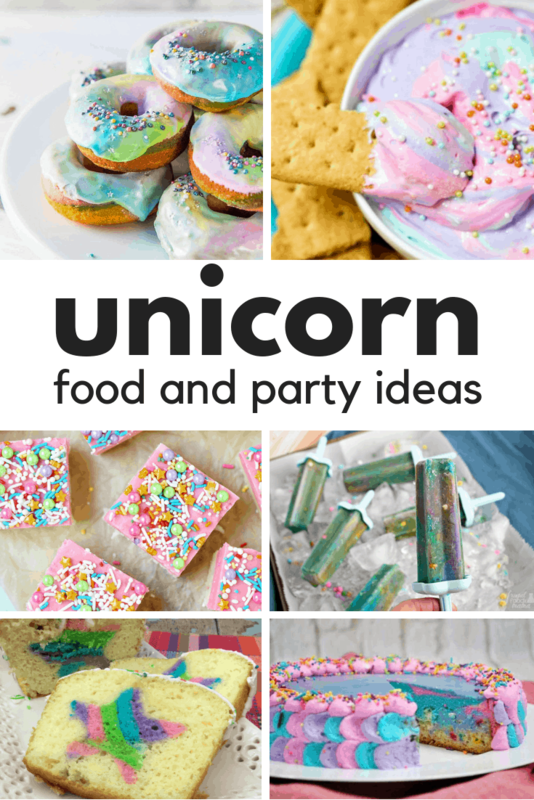 I have rounded up ideas for food, drinks, crafts, favors, games and decorations all with a colorful unicorn theme. 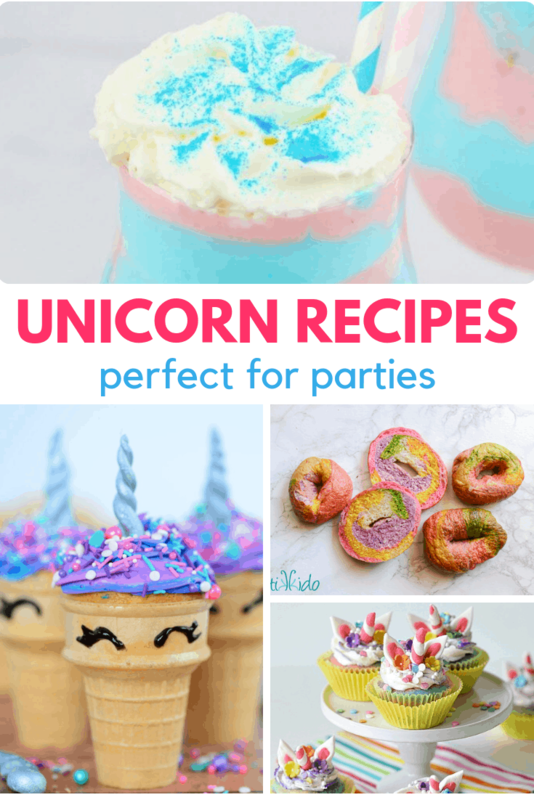 Take a look and click over to the full post for each photo, you’ll find details on how to create each and every one of these recipes and projects. 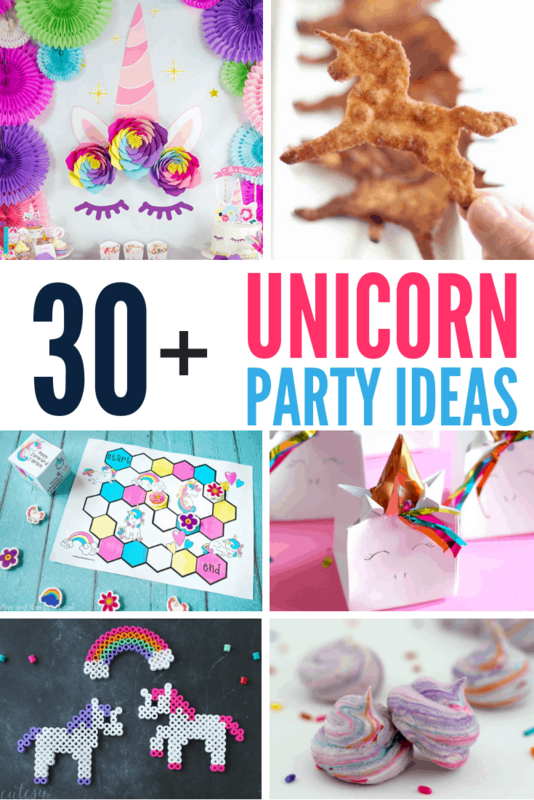 Throw a unicorn party with these creative ideas!